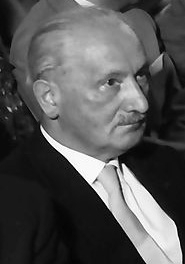 Heidegger’s philosophies were also found in the Church, which set up a system of “spiritual growth” that functions without God. In this system, the Church sets the standard and educates the masses through Christian psychology and spiritual directors, all of which leads to spiritual formation. While it is true that the Church is called to bring freedom to the oppressed and care for the poor, what Father McBrien’s new morality misses is the reliance on God for freedom and peace. We are told to preach the Gospel to the world, but we know from Bible prophecy that all of the world will not choose Christ and His Word. In fact, the Bible is very clear that at the end of time, a very small percentage will be faithful to God’s principles. This has been evident even in history. When Israel was still God’s chosen people, the majority wavered in their faithful obedience to God and worshiped idols, but there was always a small remnant that kept the commandments of God. During the Dark Ages, the same situation occurred: the majority followed popular teaching and the minority sought God’s truth in His Word. Those that seek God with all their heart and mind and soul have always been the minority. This is how it will be will be until a final end has been made to Satan and his host. True social justice and peace lie in obedience to God’s truth as found in His Word—the Bible. This Book was written for “doctrine, for reproof, for correction, for instruction in righteousness: That the man of God may be perfect, thoroughly furnished unto all good works” (2 Timothy 3:16-17). If the Bible’s principles of love were followed, inequality and social injustice would not exist. Our world is so full of abuse and injustice because we have refused to acknowledge the relevance of God’s commandments. When we focus on God and obedience to His will as revealed in His Word and His law, peace and social justice can prevail. But when we pick and choose what we want to believe and reject God’s rule over our lives, we see anarchy and chaos. Heidegger, McBrien, and other proponents of justice and peace miss the focus on honoring God’s laws. Instead, they believe that social justice and peace will be achieved through human cooperation, human unity, and human hard work. But the Bible tells us that our hearts are deceitful and wicked (Jeremiah 17:9). Only with the Holy Spirit in hearts that are submitted to God’s will and ways and that are praying for God’s strength through our weakness can we hope to make any impact for good on this planet. We do not need a “new morality” based on good works and relativism. What we need is to return to God’s absolute morality. i. “Heidegger, Martin,” The Internet Encyclopedia of Philosophy. ii. Alex Scott, Heidegger’s Being and Time. iv. “Father Richard McBrien Discusses ‘Challenges Facing the Next Pope’ Wednesday,” DePauw University website (April 8, 2005).